To carve out a competitive advantage for the future, Europe must anticipate the potential of advanced manufacturing for clean, efficient and high quality production, write Karl Aiginger and David Bailey. David Bailey is Professor of Industrial Strategy at Aston Business School, Aston University. 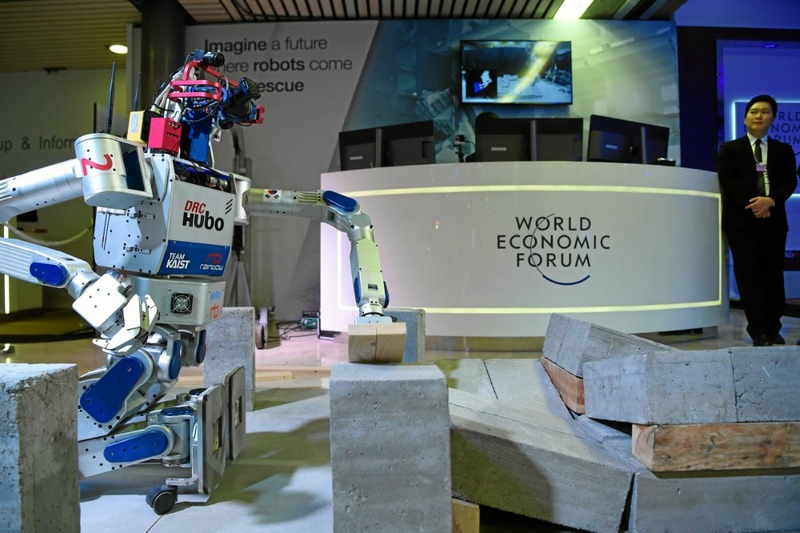 Industrial policy is back on the political agenda and last week’s gathering in Davos brought further proof that business and political leaders around the globe are struggling to tackle the “fourth industrial revolution”. The financial crisis was fuelled by bursting bubbles in non-manufacturing sectors, and the economic recovery proves more difficult in countries with a weak industrial sector. The manufacturing sector itself is subject to rapid change, thanks to technological developments and the growing importance of services that become an integral part of the production process. When factories dismantled their steam engines in the late 19th century to make way for electricity and conveyor belts, these innovations opened the way for mass production. Today, a similar leap seems possible, as companies move from the use of computers and robots into the era of advanced manufacturing, where intelligent machines self-optimise in networks. In Europe, hopes are that an industrial renaissance can bring jobs and growth back to the continent. Others warn that Europe will not be able to compete under the pressures of globalisation without undermining our welfare institutions. The truth is that Europe has a choice to make in the face of global competition. It can opt for a “low road” strategy which emphasises cost reductions, lower taxes, and reduced social and ecological standards. This would lead into a downward spiral. Alternatively, it can put forward a bold strategy to compete based on research, skills, ecological ambition, excellent institutions and an employment policy which empowers people. This is the high road. High-road competitiveness is not about disregarding realities of the world economy. It stands in contradiction to old policy recipes of protecting national champions and prolonging the life of non-viable industries. Europe’s future industrial policy should facilitate the long-run transition, not decelerate structural change. It must promote competition and be driven by a wider vision, which goes beyond mere GDP growth and includes the social and ecological goals of society. To carve out a competitive advantage for the future, Europe must anticipate the potential of advanced manufacturing for clean, efficient and high-quality production. Sustainability and ambitious socio-ecological standards must be at the centre of our industrial policy. At the same time, we need to significantly boost investments in research, innovation and up-skilling. If carried out decisively, this double strategy can bolster Europe’s technological leadership and lay the basis of future economic success. The European Union has taken promising steps and shown political courage in its climate change policies and the fight against environmental degradation and has embraced the concept of the “green economy” as a potential engine for job creation and economic dynamism. It now needs to take the next step and invest in assuming technological leadership at the intersection of advanced manufacturing with decarbonisation and resource efficiency. High road competitiveness challenges vested interests in the manufacturing sector. It goes against the grain of some industries which argue in favour of cost reductions and against ambitious policies. Thirty-four leading European economic institutes have examined this question over the past four years. Our research shows that the socio-economic benefits of a high-road strategy would offset any increased production costs in the manufacturing sector and offer a valuable dividend for society: global competitiveness that supports welfare, wealth and work in Europe.